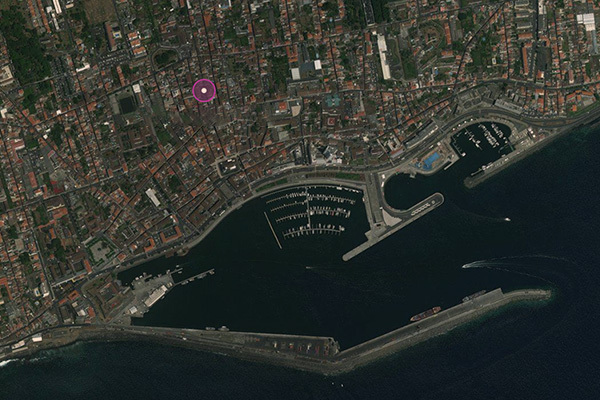 The studio will be closed on Holidays: 19th and 25th of April. We open 15m before each class. Please do not knock on the door while classes are in progress; wait until the end of the class not to disturb the relaxation of students. Price: Drop in class 15€. Packs: 5 classes 50€ or 10 classes 90€. 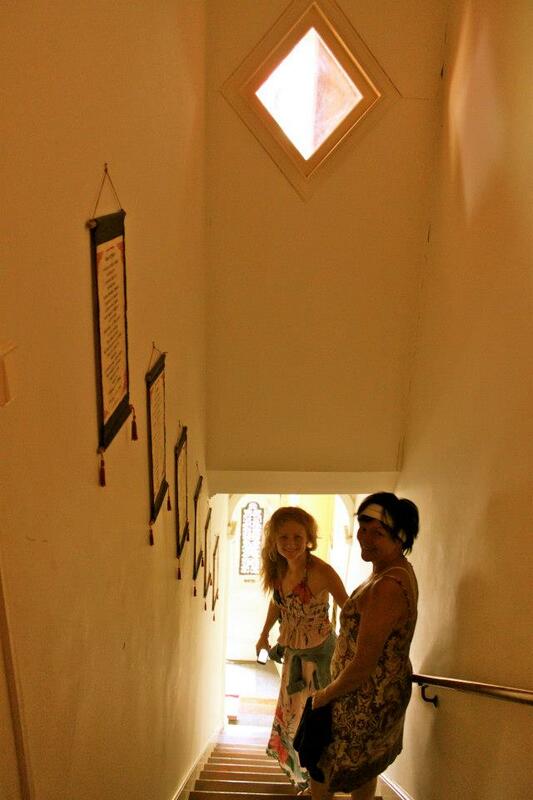 You can drop-in any class and you don't need to book in advance, just arrive 15 minutes before. 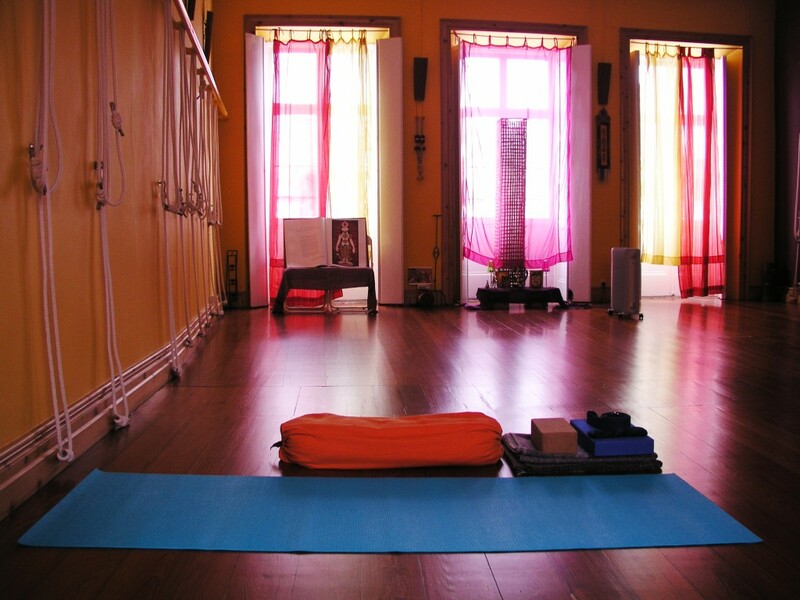 Hatha Yoga is the style of Yoga best known and practiced in the West. 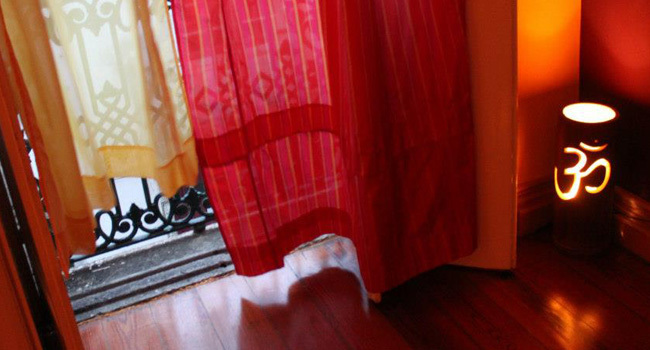 It aims to prepare the physical, energetic and subtle body for meditation or Dhyana, thereby opening the way to its ultimate purpose - liberation or Moksha. 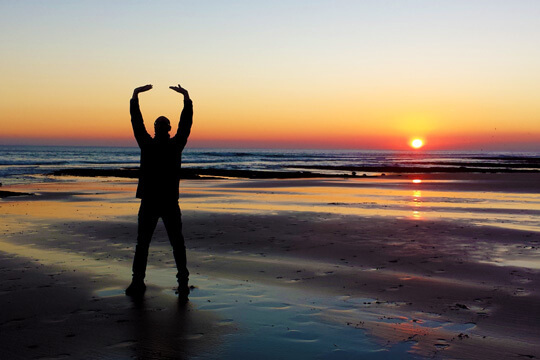 It involves a broad system of psycho-physical postures; Techniques of control and expansion of vital energy through breathing; Internal purification; Deep relaxation and concentration. By focusing the mind on the body, synchronizing movement with breathing deepens the inner consciousness, stimulating the whole organism. 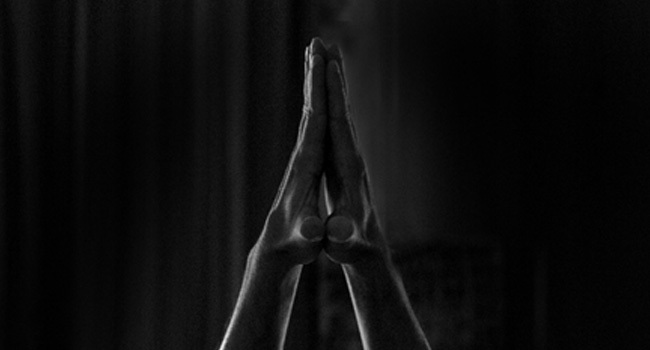 Vinyasa is a dynamic form of Hatha Yoga, which gives a particular importance to the transition between postures or asanas, creating a continuous flow in which the synchronism of movement with the breath is fundamental, which translates into an active meditation. It promotes fluidity, strength, lightness, tranquility, and greater clarity. 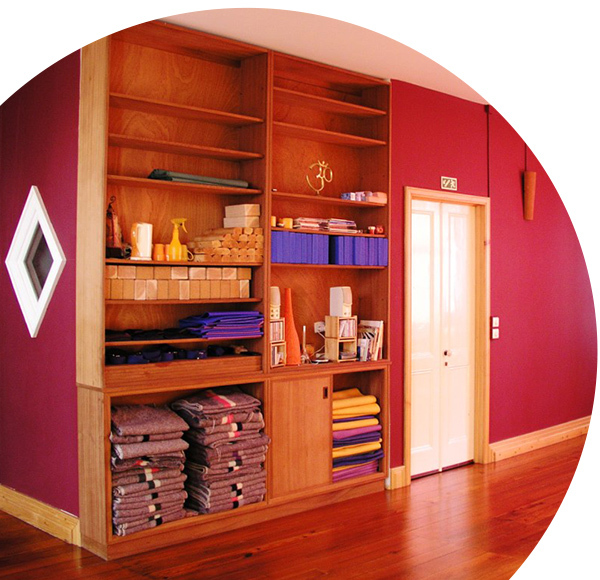 Suitable for people who are starting the path of Yoga, allowing a special attention to the basic but fundamental aspects of Hatha Yoga. The focus of these classes is the permanence in the postures as an essential platform for the awareness of the body and the breathing. 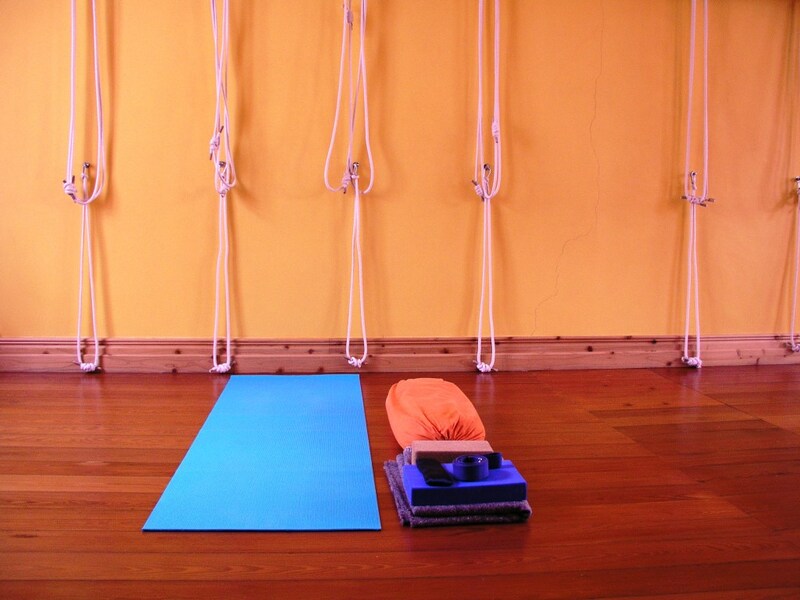 Yoga practice with the help of ropes, which are fixed to the wall, enables more space and freedom in the joints, lengthens the spine and strengthens the whole body. 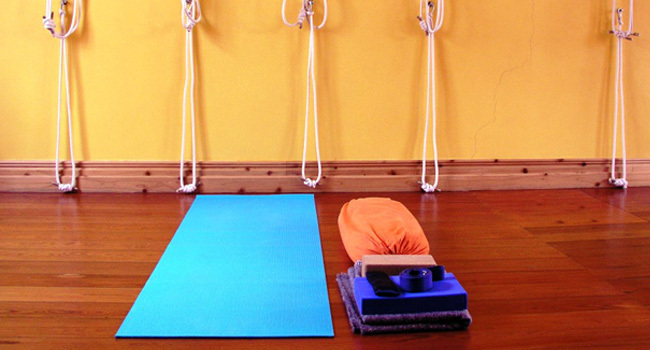 It brings greater understanding of alignment and makes inversions and backbends more accessible; intense and deep stretches can be performed safely. 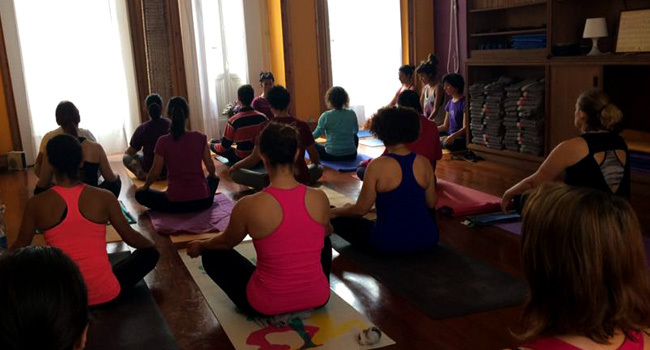 Suitable for people whose specificities does not allow them to attend group classes, and for all those who wish to deepen their personal practice and knowledge about Yoga. In these classes a specific learning program is designed, which takes into account the abilities and objectives of the student or group. Qigong (Chi Kung) - the "Chinese Yoga" is a millenarian practice for the Life Energy cultivation that originated from China. These movements coordinated with the breath, develop a meditative mind, intensify the flow of energy, benefit the internal organs and whole body. 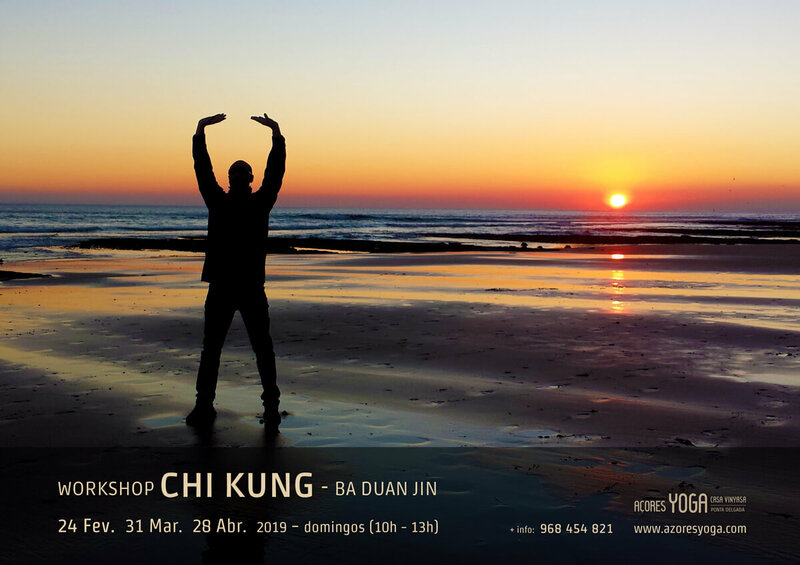 This Chi Kung (Qigong) workshop introduces the "eight pieces of brocade" - Ba Duan Jin - a traditional Chinese form originating in the Shaolin temple by the Indian monk Bodhidharma, in the sixth century AD. It is a form composed of eight sets of movements coordinated with the breath, which with correct alignment of the body, intensify the flow of energy along the meridians (energy channels), directly benefit the internal organs, strengthen the immune system and tone everything the body. The Qigong regular classes (Wednesdays at 8:15 pm) will complement this workshop, allowing to deepen the pratice learned in each module. 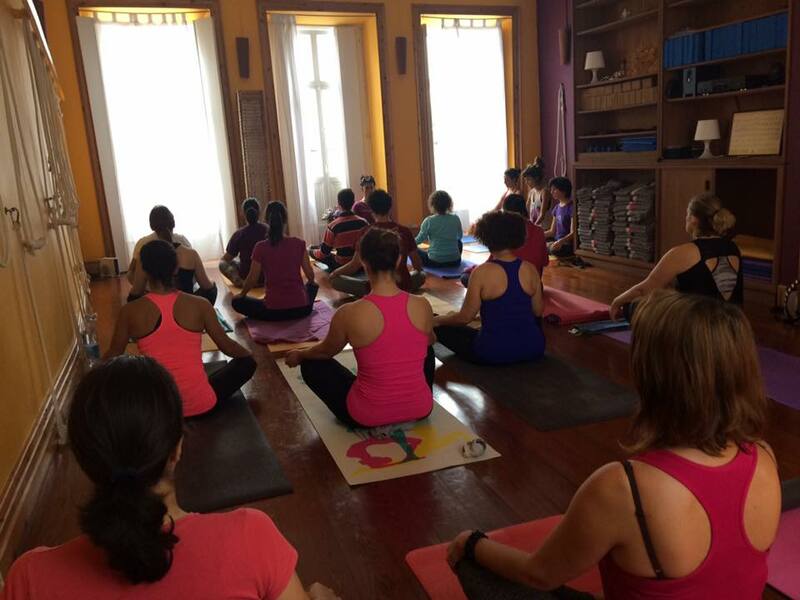 Workshops are an excellent opportunity to open up to learning with different teachers and to deepen our practice and knowledge of Yoga with longer classes and without the pressure of day-to-day schedules. In the context of a retreat this experience is even more intense because they are residential, everything is carefully planned to facilitate a deeper plunge into ourselves, namely healthy food, the timetable and type of activities, not forgetting the time to share experiences. 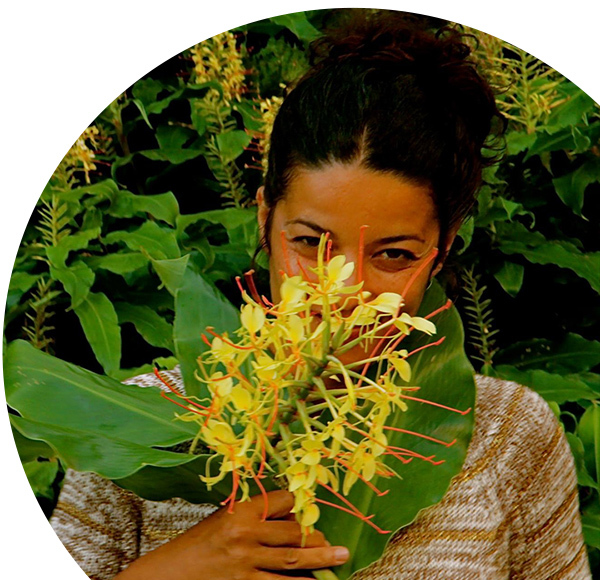 The islands of the Azores, due to the diverse landscape and exuberant nature, is a privileged place for us to feel immersed in the 5 elements. Practicioners can enjoy the volcanic hot baths, which have enormous therapeutic properties and leave us totally relaxed, the pedestrian paths, the sea (whale watching and swimming with Dolphins) or simply the sandy beaches or natural pools in the sea. 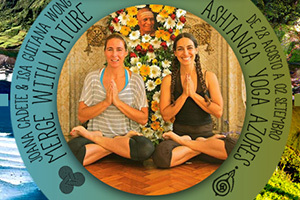 Workshops and retreats is a great chance to combine vacations with Yoga. 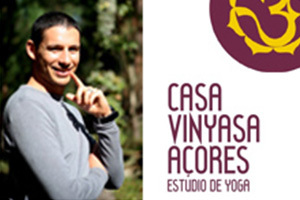 Founded in 2004 under the name "Casa Vinyasa", it was the first space totally dedicated to the practice of Yoga in Ponta Delgada and throughout the archipelago. 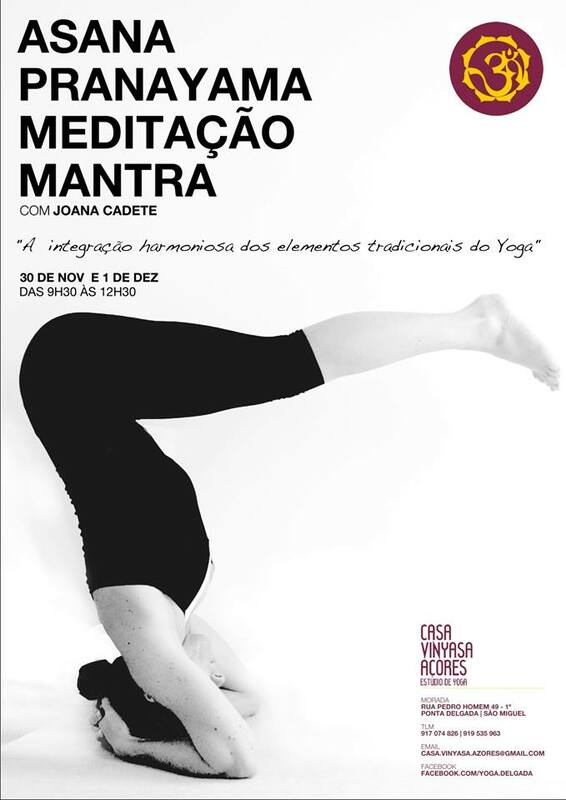 It was born from the aspiration of two dedicated practitioners, Joana Cadete and Paulo Andrade, who continue to periodically present us with their experience and deep knowledge through intensive classes, workshops and retreats. 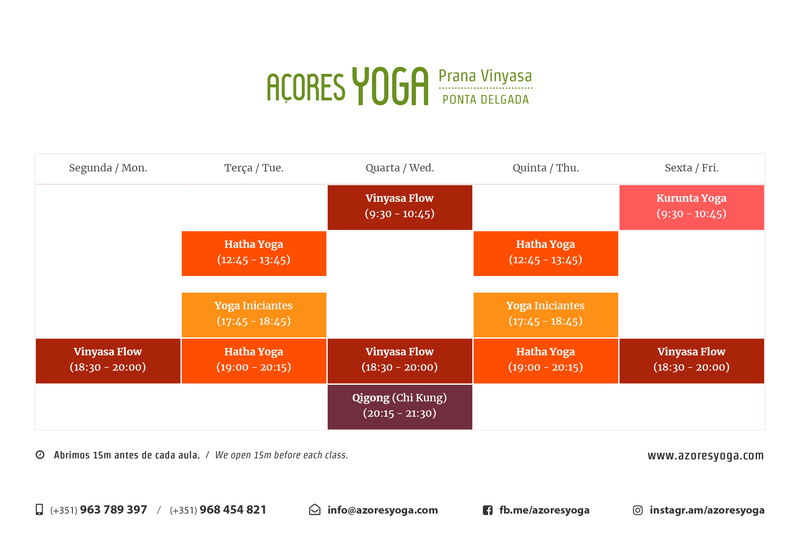 Currently, under the direction of Alexandra Afonso, the Yoga Studio - Prana Vinyasa - Azores, keeps alive this ancient tradition and it is a huge privilege to follow the practitioners in their journey. Yoga has been present in my life from a very early age. I started by practicing alone through a book, and I had a hard time finding a teacher and a method with which I could identify myself. 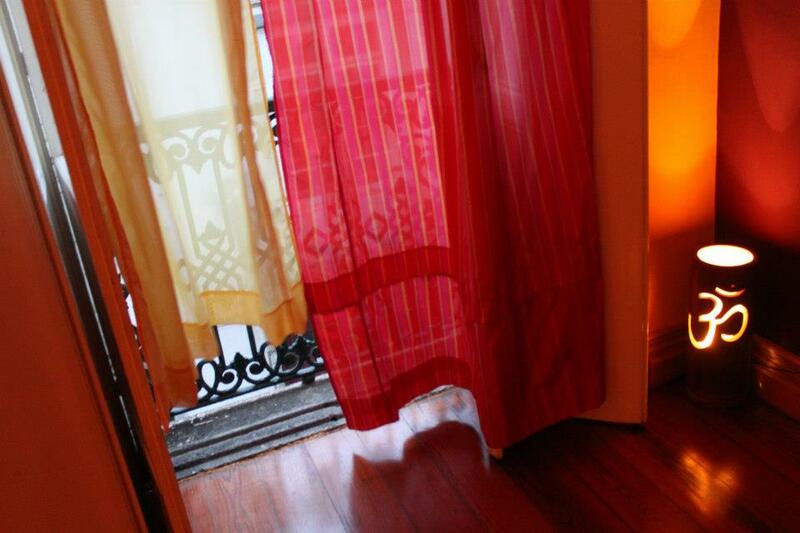 It was much later in 2000, while living in Paris, that I found Ashtanga Yoga with Caroline Bollinger. 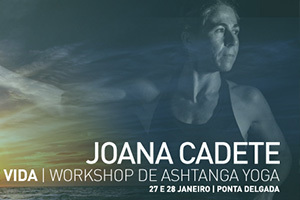 Upon returning to Lisbon, I continued to practice, first Ashtanga Yoga with Isa Guitana, and then Dynamic Hatha Yoga with Professor Carlos Rui Ferreira with whom I took the 3-year Instructor Course of the Portuguese Yoga Center, having been certified in 2011. 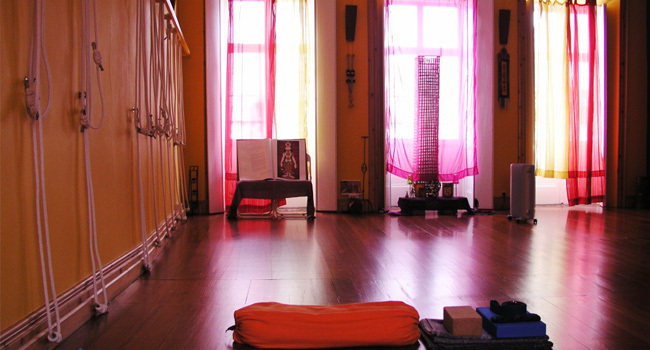 I also certified with the 200 hours Yoga Instructor Course at Yoga Alliance UK with Marco Peralta. 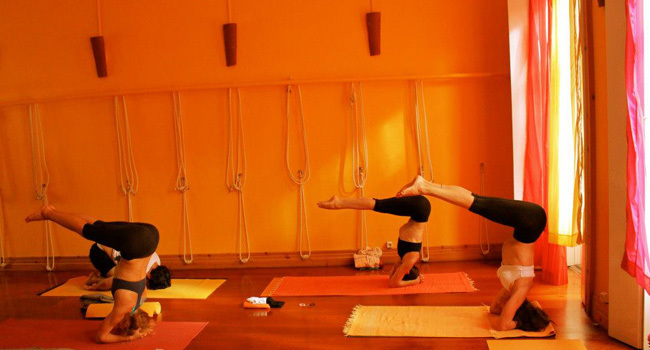 And the Unnata Aerial Yoga Instructor Course, with Montze Lominchar. 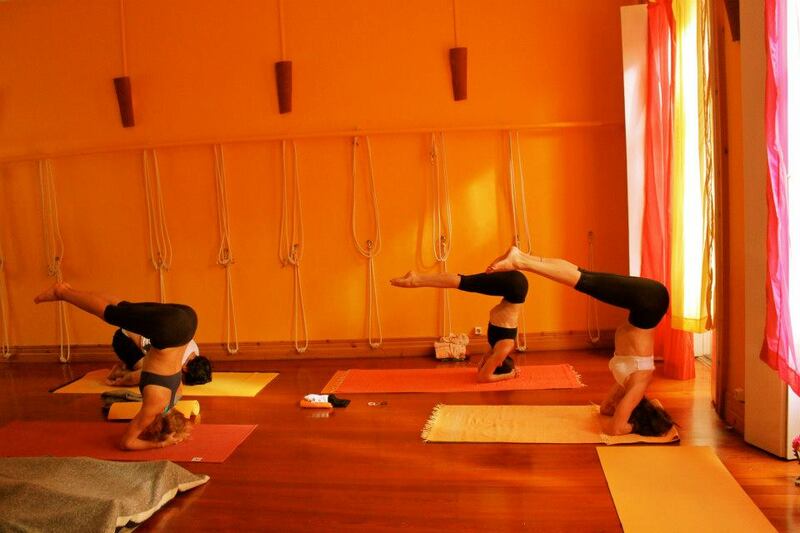 I started teaching Dynamic Yoga in 2010 and Aerial Yoga in 2013. 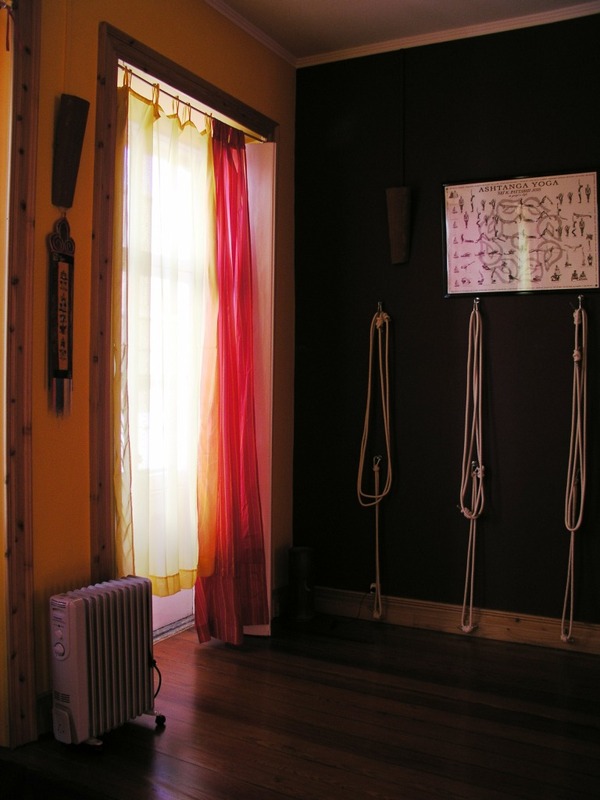 In recent years I gave two Dynamic Hatha Yoga Practical Courses and a Personal Practice Development Course. I think that the search for knowledge, personal development and the expansion of consciousness, is a project of life that has no end. 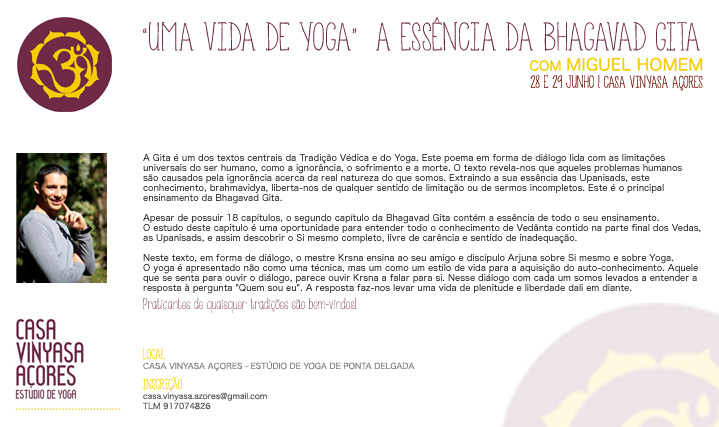 And from this point of view, I participate regularly in courses, workshops and retreats, highlighting: Development of Personal Practice, Introduction to Meditation, and Pranayama, with Carlos Rui Ferreira; Ashtanga Yoga, with Tomás Zorzo; Vinyasa Flow with Fleur Van Hille; Satva Yoga, with Gustavo Ponce; Vedanta, with Joana Cadete and Swami Suddhananda; Vipassana meditation; and Zazen Meditation, with Zen Master Barbara Kosen. 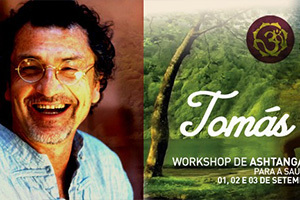 For the moment the newsletter texts will be in Portuguese only. Call us, send an email or a message on Facebook, we will respond as soon as possible.